Anyone who’s ever had the slightest dealings with PPC (or SEO) will understand the importance of position, or more particularly Ad position. At the moment on Google, an Ad averaging position 1 – 4 will be seen at the top of the page, anything below that is at the bottom of the page. Simple. What about Google Shopping though? It’s not as straight forward. Generally speaking Google shows 5 Ads at the top of the page (yes, sometimes it’s 10 on the right side, but let’s not over-complicate the complicated) but makes no public comment or distinction as to which is position 1 or 5. You’d be inclined to think that position 1 is on the left (in English speaking countries) but maybe it’s the right, or the middle? To understand your Ad position in a Google Shopping campaign to some extent, or to at least influence your bid strategy the place you must visit is the Dimensions tab, where the column Search IS Lost (Rank) will give you an idea of if you are bidding too little (possibly) or too much (unlikely). What about Bing and the magic number 8 though? Well, when Bing introduced their own Shopping platform it’s probably fair to say they ‘borrowed’ an idea or two from Google. But one idea they had of their own was to include average positions within Bing Shopping campaigns. Go to a Shopping campaign and the average position is displayed and it was verbally confirmed to the writer by a Bing employee that they do indeed count position top left as number 1, down to position 8 bottom right. So to answer why the magic number is 8, that’s the number which you either want to match or lower in the average position column to ensure your campaign is displaying as much as possible. Should I start PPC advertising on Bing Ads? Everyone has heard of Google AdWords, but how many know of the Bing Ads network? With a market share of approximately 15% in the UK, the Bing Ads network is a smaller player, but not one that should be dismissed instantly. The benefits Running Ads on the Bing Adcenter network opens up a whole new search audience to you. This is generally viewed as incremental traffic which otherwise you could not access – think NEW customers! 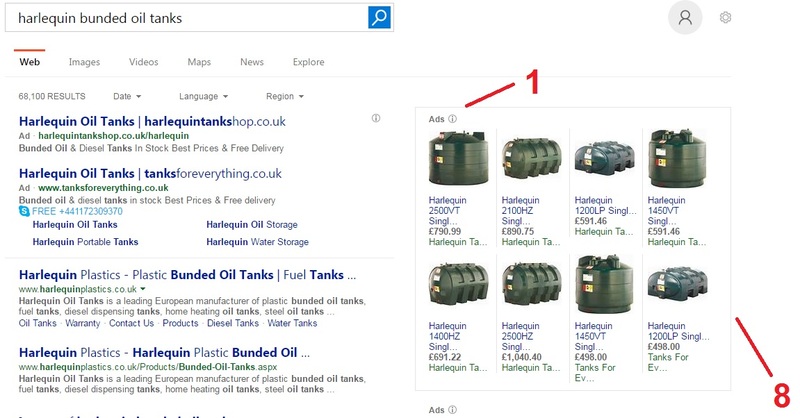 Because of there being less advertisers on Bing, generally the CPC (cost-per-click) is lower than the equivalent search on Google, which in turn leads to a l..
Bing Shopping Campaigns now available in the UK. 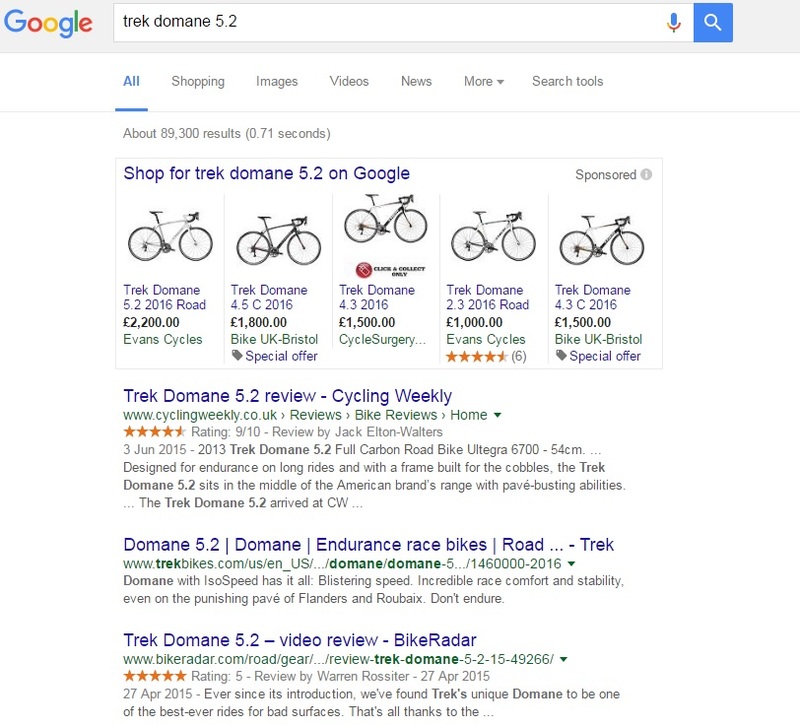 We've been waiting some time to find out when Bing would bring it's own Product Ads to the UK. Recently they announced that Shopping Ads were in Beta for the UK market. So, we are delighted to announce that we are now running campaigns in the UK. Why start running Bing Shopping Campaigns (BSC) ? 1, From experience any ecommerce account gets the best performance in AdWords from its Shopping campaign.We fully believe that this will be replicated in BSC. 2, CPC’s are generally lower in Bing than AdWords along with CPA’s. We expect this to be the same in BSC. 3, Advertisers are g..